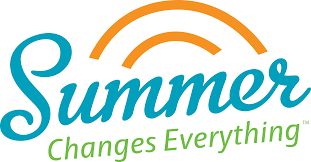 8 Weeks of 2019 Summer Camp Program available! 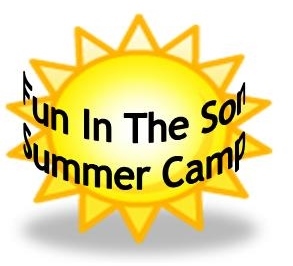 Noah’s Ark Christian Academy presents ‘Fun in the SON’ Summer Camp, featuring the Kid’s Honor Club Curriculum® from the National Center for Biblical Parenting. Honor changes people…and children are people too! The Kids Honor Club uses fun games and activities, exciting Bible stories, and meaningful crafts to help kids understand why honor is important and how to live it out in their families and neighborhoods. *Parents your children will enjoy our two acre Outdoor Playground and in house Fitness and Obstacle Course. In addition to summer fun, your child will also have Academic Skill Building and earn rewards in Noah’s Reading Club! Avoid the Summer Brain Drain with Noah’s Ark New Mini-Summer School! Featuring the GA Dept of Early Education Bright From the Start Daily Kinesthetic Learning Experience. Children will learn what honor is through a fishing expedition, how to deal with selfishness through a construction site, how to address their own anger and then go one step further by becoming peacemakers. The activities will challenge children to think of ways to add energy to family life instead of draining it. Each lesson is designed with artwork for crafts, Bible stories, memory verses and a snack idea, all tying into the theme of that lesson and plenty of fun activities to keep children engaged while learning about honor in the family. Honor changes people. Above all, it changes family life. Lesson two of the Kids Honor Club asks kids if they are a drain or a fountain. Are they draining energy out of family life or are they adding to it. All kids need to learn to add energy to life. The Kids Honor Club gives them practical ideas about how to do it. Honor means treating people as special, doing more than what’s expected, and having a good attitude. This definition is taught to children in practical ways in three lessons. Another three lessons focus on sibling conflict and the honor-based solutions that produce sibling harmony. Obedience gets the job done and that’s what most parents focus on in order to keep kids moving and accomplish their goals. Honor is different. It’s like the oil in a machine. It addresses how you relate. Every family needs honor and the Kids Honor Club will help you develop it in your family.